Last year just before New Year I came to London to see the Spice Girls musical Viva Forever (sadly now closed) and enjoy some of London’s festivities including a wee trip to the Winter Wonderland and also ice-skating at the Natural History Museum. 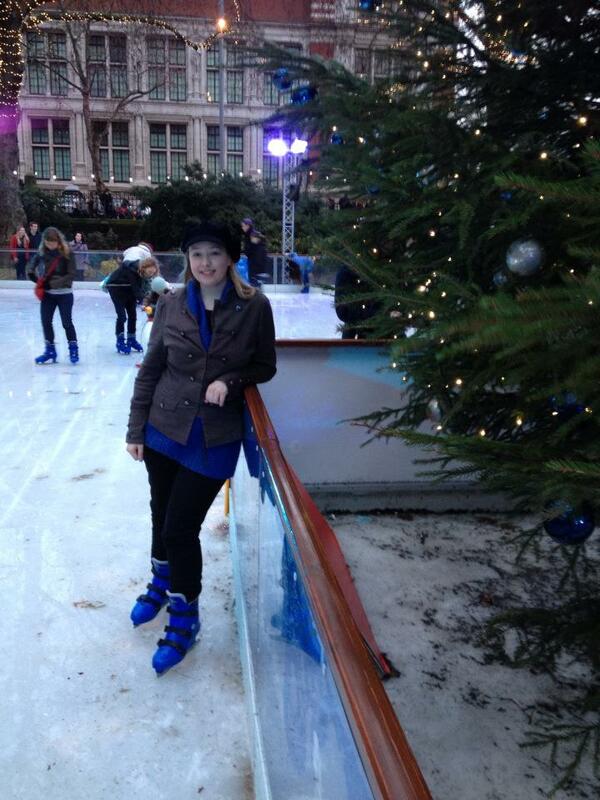 Skating seems to be a very popular activity in London at this time of year so I thought I’d let you know of the places you can go if you want to give it a try. All of these ice rinks are open until at least the 5th January so there’s plenty of time but it is recommended that you book in advance! Natural History Museum – A great way to end the day after a visit to the museum, sessions last for 50 minutes and cost from just £8. Book online, by phone or in person at the box office. Tower of London – Located in the moat of the iconic Tower of London I don’t think this rink can be beaten for views! Hour long sessions start from £11.50 off peak. EyeSkate at the London Eye – Positioned directly beside the London Eye this is great if you want to take a trip on the wheel as combo packages are available which give you adult access for the same price as a child when you skate as well. Individual sessions last 45 minutes and cost from £9.45. Winter Wonderland – Set around the Victorian bandstand and illuminated with over 100,000 lights, the Ice Rink provides a truly magical setting for ice skating. Combined with a wander around the Wonderland itself you’ve got one spectacular outing. Sessions last an hour and prices start at £10.50 off peak. Skate at Somerset House – This rink is being run in conjunction with Coach which makes for some stunning surroundings. Glad Tidings Tuesdays brings the spirit of Christmas to Skate, with traditional music and yuletide treats while their after dark club nights allow you to skate to a live soundtrack spun by some of the top DJs around. Sessions are an hour long and cost from just £7.50, cheapest of all those I’ve featured. Skate hire is included in all of these prices and while it’s not something you’d do every weekend during the Winter it’s definitely a nice experience for the festive season. If you head to any of these rinks please do let me know how it was!